As was written, a nuclear power plant (nuclear power station) looks like a standard thermal power station with one exception. The heat source in the nuclear power plant is a nuclear reactor. 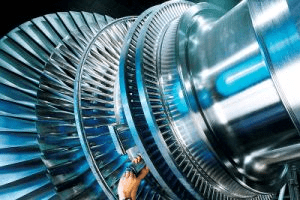 As is typical in all conventional thermal power stations the heat is used to generate steam which drives a steam turbine connected to a generator which produces electricity. But in nuclear power plants reactors produce enormous amount of heat (energy) in a small volume. 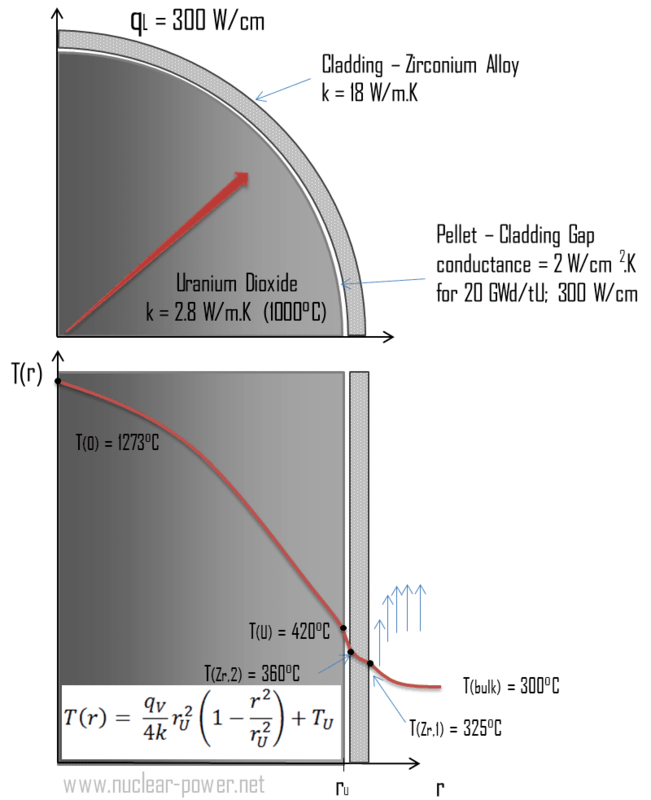 The density of the energy generation is very large and this puts demands on its heat transfer system (reactor coolant system). 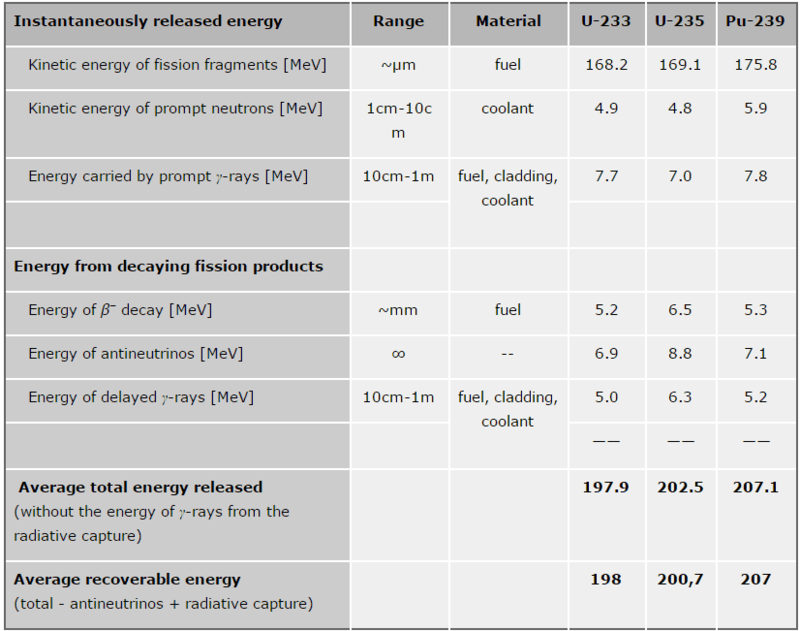 As can be seen from the table, the total energy released in a reactor is about 210 MeV per 235U fission, distributed as shown in the table. 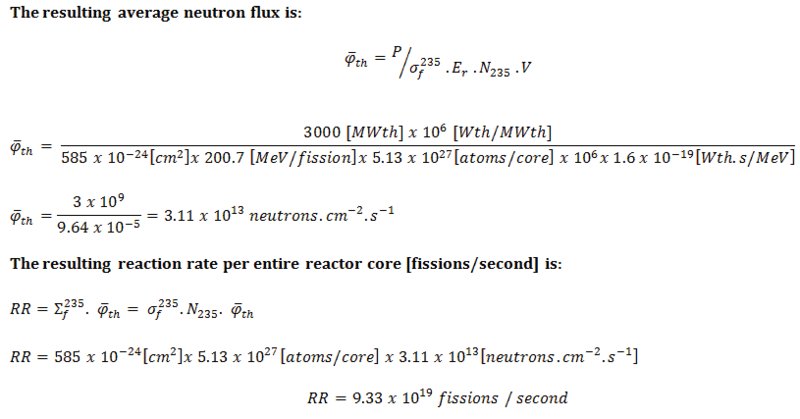 In a reactor, the average recoverable energy per fission is about 200 MeV, being the total energy minus the energy of the energy of antineutrinos that are radiated away. 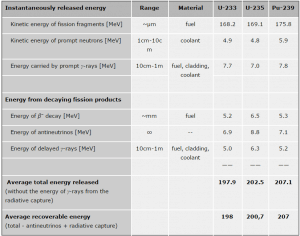 This means that about 3.1⋅1010 fissions per second are required to produce a power of 1 W. Since 1 gram of any fissile material contains about 2.5 x 1021 nuclei, the fissioning of 1 gram of fissile material yields about 1 megawatt-day (MWd) of heat energy. 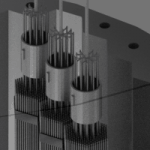 It must be also added, also the other reactor internals must be cooled sufficiently in order to prevent overheating of thir construction materials. 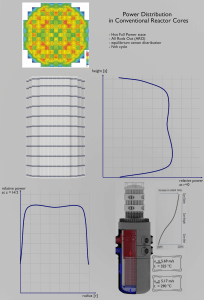 One of most exposed components is the neutron reflector, especially the heavy reflector. While acting as a neutron shield, the heavy reflector is heated due to absorption of the gamma radiation. In order to avoid overheating, the heat in the reflector is removed by water flowing through cooling channels drilled through the reflector. Creation of pairs requires energy, which is lost from the kinetic energy of the charged particle causing it to decelerate. 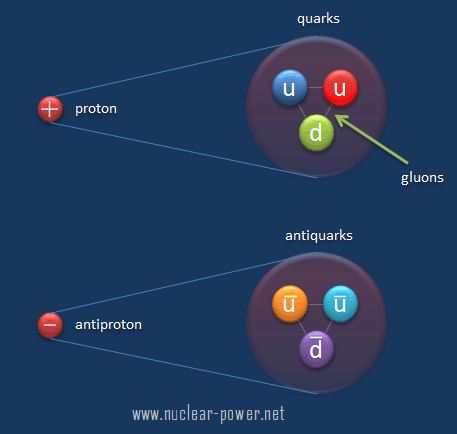 The positive ions and free electrons created by the passage of the charged particle will then reunite, releasing energy in the form of heat (e.g. vibrational energy or rotational energy of atoms). 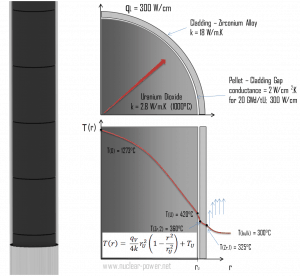 This is the principle how fission fragments heat up fuel in the reactor core. 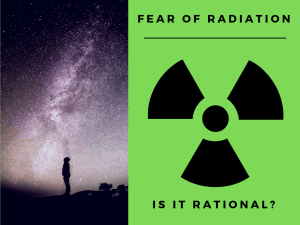 There are considerable differences in the ways of energy loss and scattering between the passage of light charged particles such as positrons and electrons and heavy charged particles such as fission fragments, alpha particles, muons. 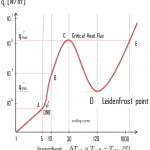 Most of these differences are based on the different dynamics of the collision process. In general, when a heavy particle collides with a much lighter particle (electrons in the atomic orbitals), the laws of energy and momentum conservation predict that only a small fraction of the massive particle’s energy can be transferred to the less massive particle. The actual amount of transferred energy depends on how closely the charged particles passes through the atom and it depends also on restrictions from quantisation of energy levels. 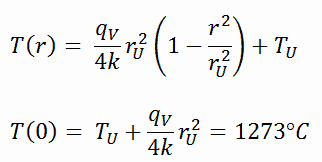 The distance required to bring the particle to rest is referred to as its range. The range of fission fragments in solids amounts to only a few microns, and thus most of the energy of fission is converted to heat very close to the point of fission. 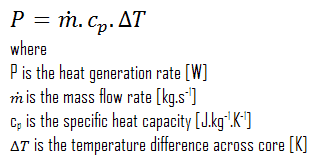 In case of gases the range increases to a few centimeters in dependence of gas parameters (density, type of gas etc.) The trajectory of heavy charged particles are not greatly affected, because they interacts with light atomic electrons. 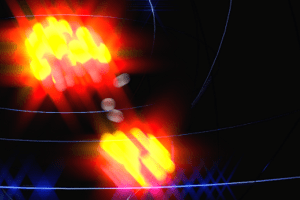 Other charged particles, such as the alpha particles behave similarly with one exception – for lighter charged particles the ranges are somewhat longer. Another very useful relation is that the thermal power produced by a reactor is directly related to the mass flow rate of the reactor coolant and the temperature difference across the core. 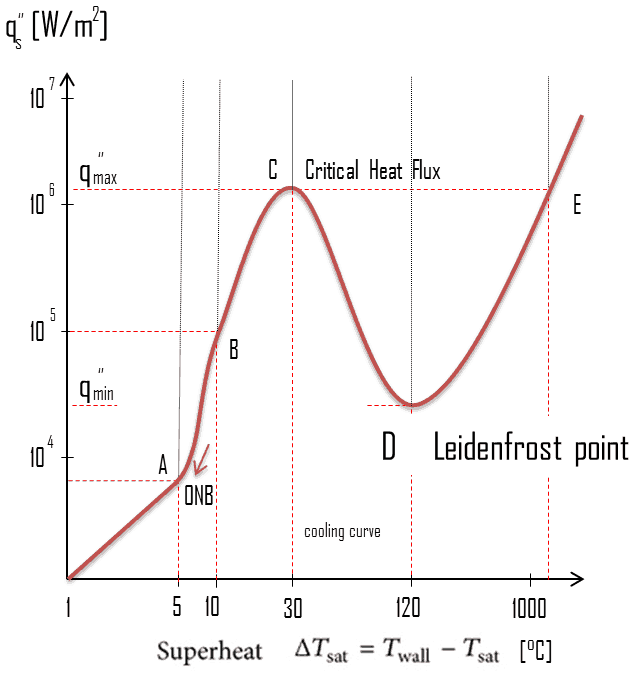 On a straight thermodynamic basis, this heat generation is also related to the fluid temperature difference across the core and the mass flow rate of the fluid passing through the core. 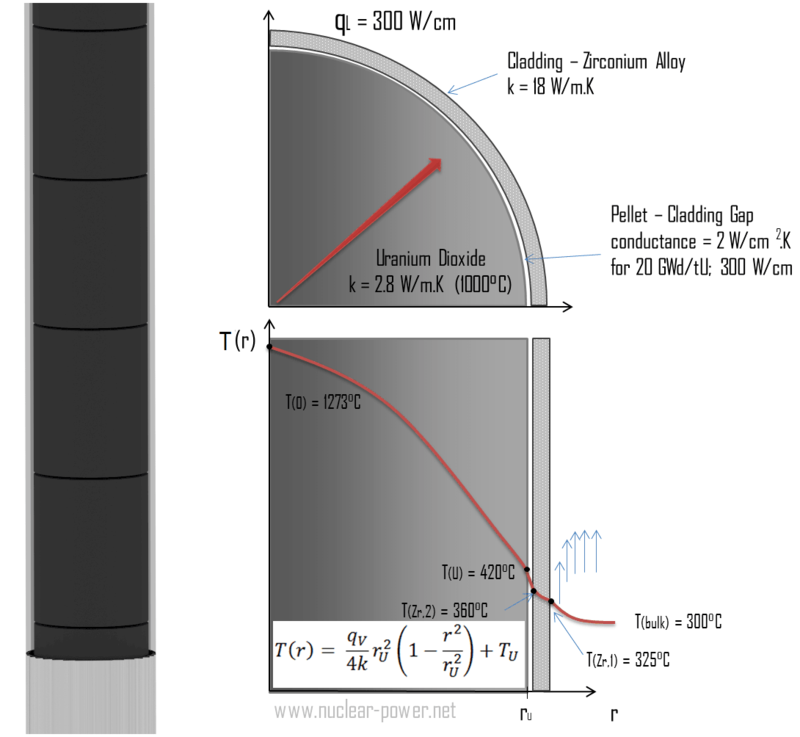 Thus, the size of the reactor core is dependent upon and limited by low much liquid can be passed through the core to remove the generated thermal energy. Note that, in PWRs, the core outlet temperature is limited. 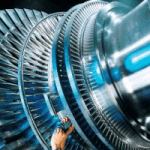 In a typical pressurized water reactor, the hot primary coolant (water 330°C; 626°F) is pumped into the steam generator through primary inlet. This requires maintaining of very high pressures to keep the water in the liquid state. 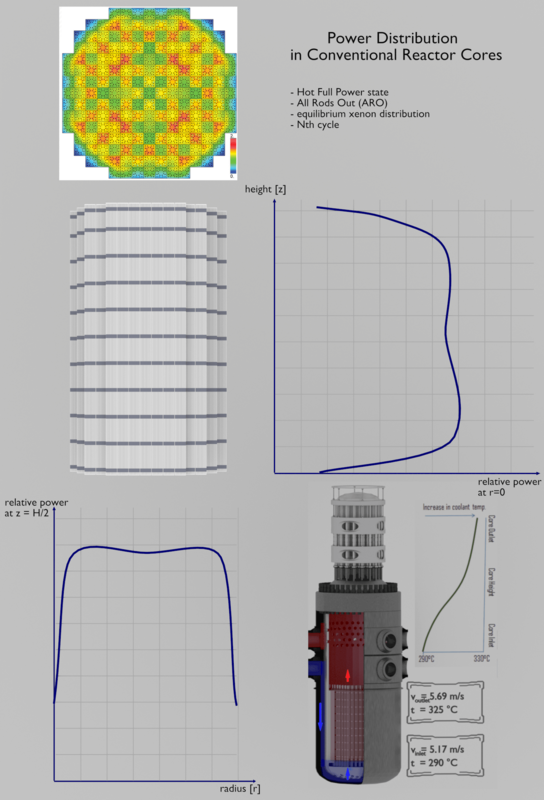 In order to prevent boiling of the primary coolant and to provide a subcooling margin (the difference between the pressurizer temperature and the highest temperature in the reactor core), pressures around 16 MPa are typical for PWRs. 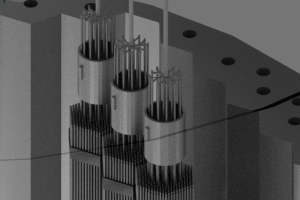 The reactor pressure vessel is the key component, which limits the thermal efficiency of each nuclear power plant, since the reactor vessel must withstand high pressures. 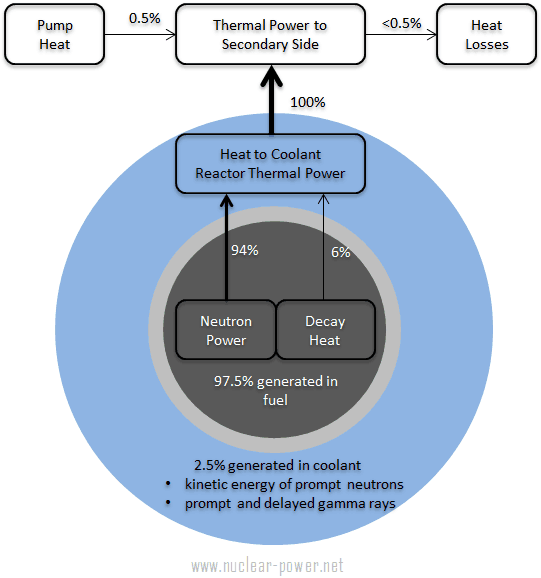 Many other factors affect the amount of heat generated within a reactor core, but its limiting generation rate is based upon how much energy can safely be carried away by the coolant.